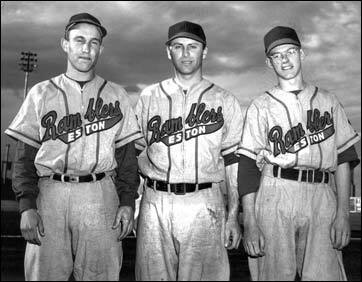 Second row: Fred Hucul (C), Lindy Serpa (C), Rudy Fernandez (P), Bob Stevenson (CF). 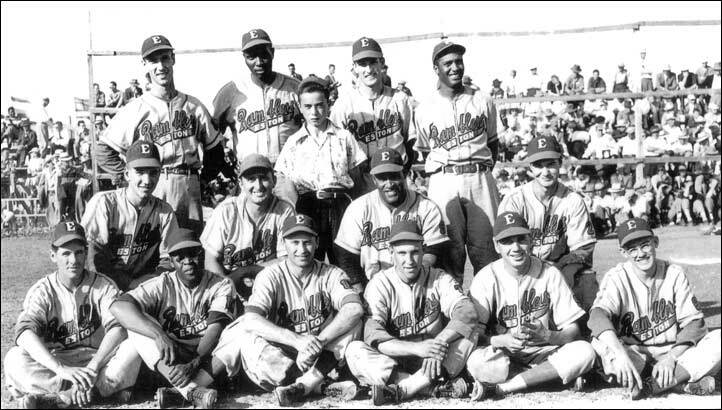 Front: Jack McLeod (1b), Art Ramsay (LF), Reinie Lutcher (2b), Jim Shields (3b), Bob Bertram (Manager), Don Stevenson (U). 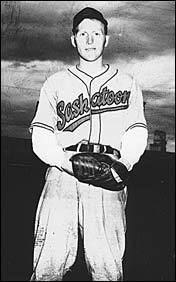 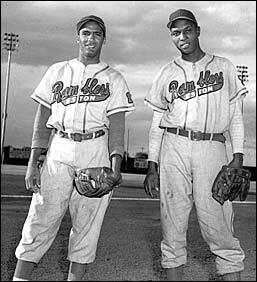 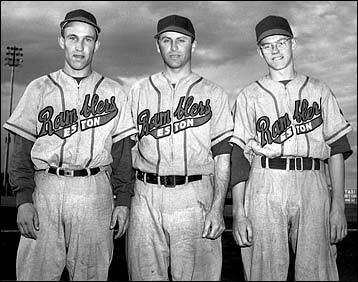 Images of Eston Ramblers players below courtesy of The Saskatoon Star-Phoenix via the Saskatchewan Archives Board. 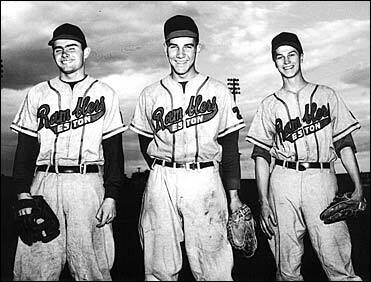 In the photo at left below, left to right, playing manager Jimmy Shields, second baseman Reinie "Smokey" Lutcher, and outfielder Don Stevenson. 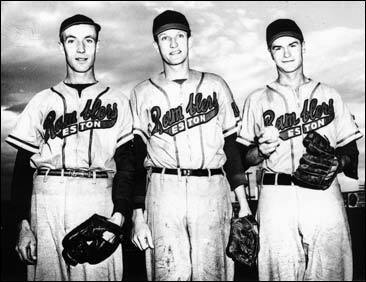 At the right, the same trio in slightly different poses.